You probably won't get to dive Bird Island unless you are on a dive liveaboard. Time constraints, lack of a marine park mooring and weather conditions make this divesite difficult for tourists to access. 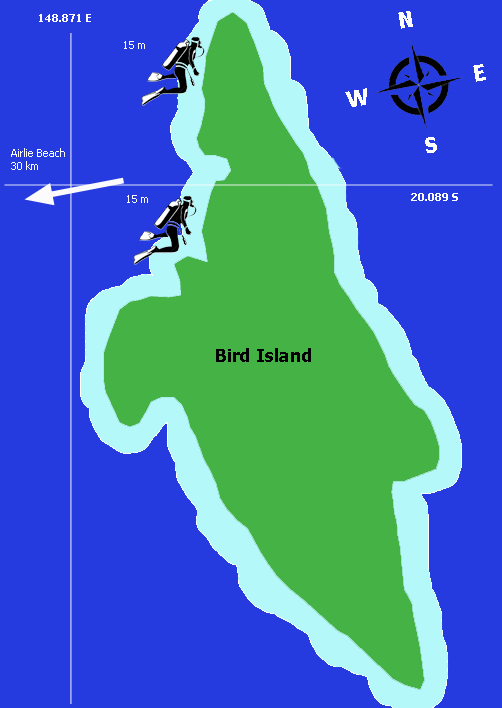 You'll notice that the schematic of Bird Island is nothing like the aerial photograph. 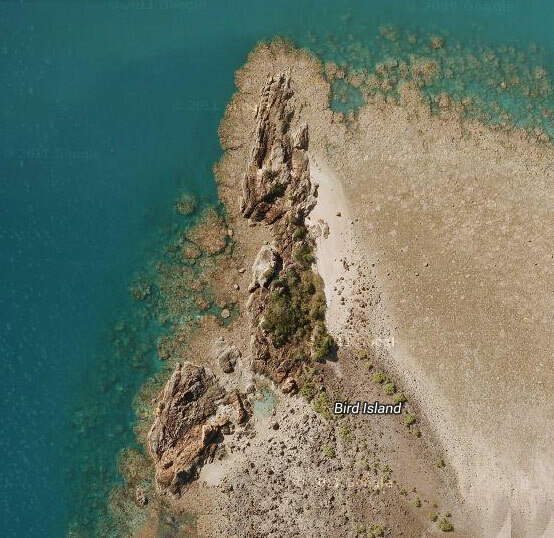 This is because the Bird Island - Langford Island reef complex to the east of Bird Island is very shallow and appears to be above the surface in the aerial photograph. 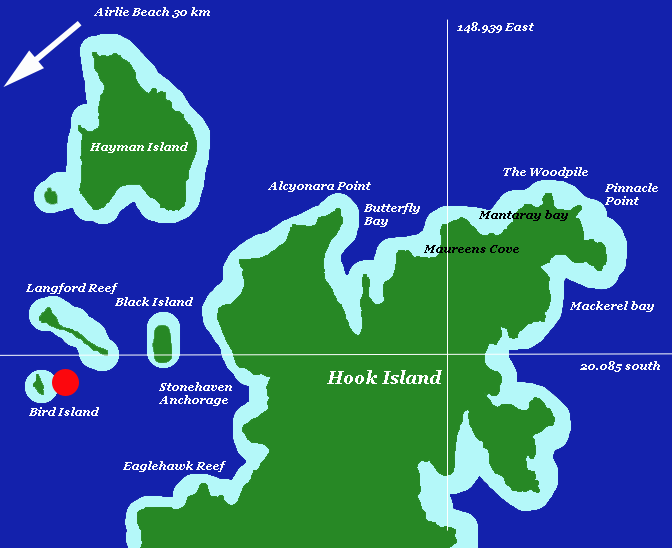 Western side of Langford Reef and just south of Langford Island, Bird Island is part of the Bird Island-Langford Island reef complex. Very exposed and not often diveable. Good dive in calm conditions. Features gullies, swim throughs, caves and overhangs. Beware of cone shells here and on Langford Reef. Do not handle under any circumstances. Difficult anchorage. Best to drift dive with zodiac standing by. Large variety of sea life.